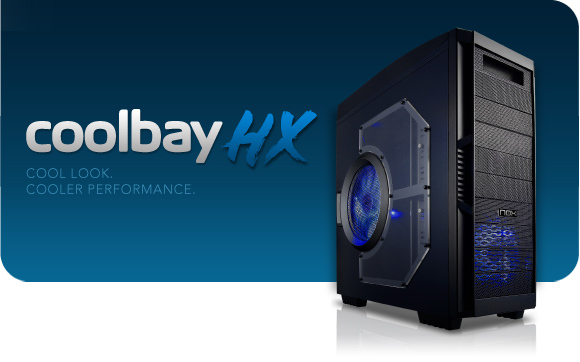 Nox Coolbay HX is a performance chassis, with acrylic window and a 230 mm blue LED fan in the side. The black interiors makes it one of a kind. About performance, nothing much to say except extreme cooling with 4 included fans and expanding versatility, supporting up to 9 drive bays. Cooling and stability are the main features for this model. makes it suitable for an office server or a workstation. The best of two worlds: cool style and cool performance.